Are you over the age of 20? Do you have some sort of skincare routine? 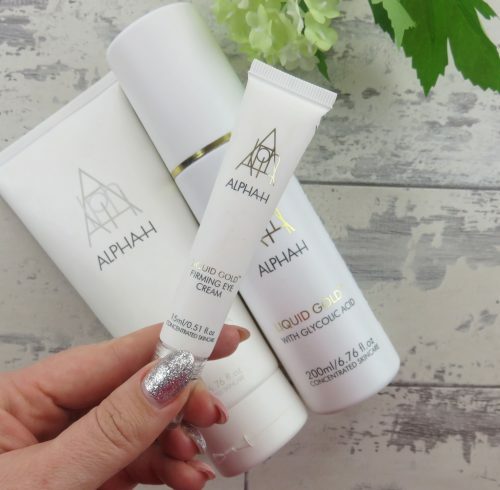 If the answers are yes, then you need to try Alpha-H Liquid Gold with Glycolic Acid if you haven’t already. Honestly, it’s a game changer. So how does it work? Well, Glycolic Acid is an AHA (Alpha Hydroxy Acid) that works to gently but effectively exfoliate the skin. Don’t be alarmed by the word acid. Infact AHA is found naturally in sugar cane so although the name may sound scary, it’s actually very kind to the skin, provided you use it in the right way. Glycolic acid will penetrate the damaged layers of the skin which effectively aids in removing dead skin cells revealing a much more vibrant, even complexion. It will also removes any decongestion in the skin encouraging cell turnover. As a result, over time you will see a reduction in pigmentation, fine lines and uneven skin texture. It is not only an amazing exfoliant. It also increases skins hydration levels with continued use, allows for better absorption of products you apply for days after using this and help to reduce acne scarring. See, if you have skin, you can benefit from this! The best thing for me about this product is how easy it is to use. All you do is, every second evening, after cleansing, pop some of this on a cotton pad and swipe it over your face, neck and decollete. For best results apply nothing else after this. Leave the acid to work it’s magic overnight. I genuinely seen an improvement in my skin after one use!!! No Joke!! Just a word of warning though. Some people may have a slight breakout after using this for a while. This is perfectly normal, it is just your skin purging out all the nasties that are in the deeper layers of the skin. It is important not to overuse this product though. Every second evening is plenty and don’t use it during the day. This goes without saying because we should be doing this daily but especially the morning after using this product be sure to use a high, good quality SPF. It is essential. I do see people using this before makeup or during the day. Trust me, use it three times a week, every second night and your skin will be much better for it. We have a tendency to want to constantly use products like this as they are so effective but it will be counter productive if you do. If you want to see more on this product, as well as some impressive before and afters check out the Alpha-H website. It is so informative. 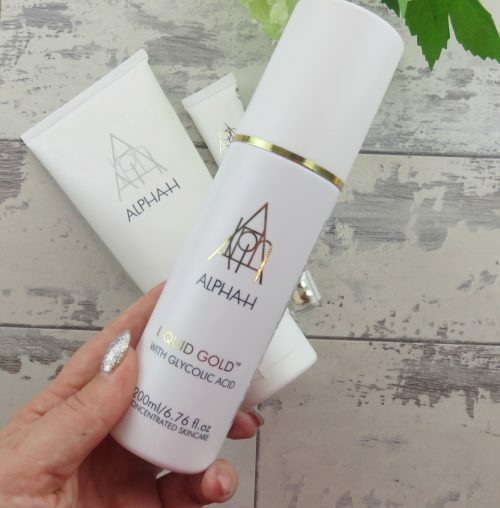 Alpha-H Liquid Gold is €39.95 for 100ml and it can be added to any skincare routine. Check out Cloud10Beauty’s latest deal where you get two for €37.50!! Another thing that is important when using Glycolic Acid is not to cleanse your face with a foaming face wash. I’m not a gigantic fan of face washes anyway as I feel they make my skin feel very tight. But in particular don’t use one with this product as it will change the PH level of your skin meaning the glycolic won’t work correctly and could cause irritation. Because of this, I tend to stick with very gentle cleansers before hand. However, I am also so strapped on time in the evening so I like something that is effective, yet gentle. Up to now I had to use a separate makeup remover for eyes, then a cleansing oil and then the gentle cleanser. Now I only use one product. 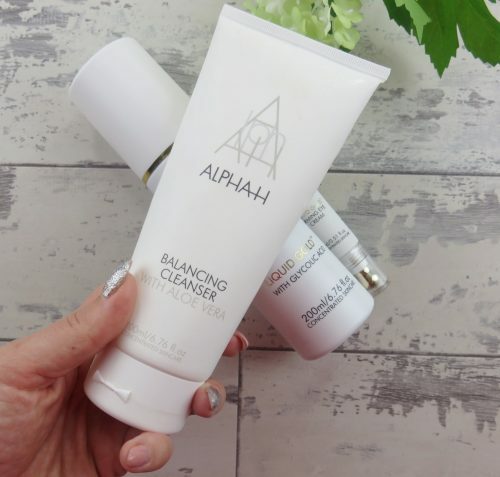 The Balancing Cleanser from Alpha H.
This stuff is the business. It is so effective at removing makeup (even stubborn mascara and liner). My skin feels so soft and moisturised and I know it is not stripping my skin of its essential oils. It also works to correct the skins PH levels, perfect for before the Liquid Gold. I honestly cannot get enough of this stuff. This is €29.95 for 200ml so not the cheapest but I am getting so long out of mine that I am not expecting to repurchase anytime soon. The last thing I wanted to touch on in this post is a product that is super new to me and to the Alpha-H range for that matter. The Liquid Gold Firming Eye Cream is said to be Liquid Gold for the eyes. This is said to relax expression lines, reduce wrinkle depth, reduce under eye bags and even reduce dark circles. And because it contains illuminating diamond particles it also gives a luminous effect to the eye area. I am only using this a short while so I will be sure to report back on how I am finding it! Seriously though, wouldn’t this just be the best eye cream ever if it stood up to its claims? It is €59 but I would happily pay this if it worked. Would you? Alpha H is available online at Cloud10Beauty or in Marks and Spencers (and online). I bought this kit from QVCUK who also stock the products. Have you tried Alpha-H? What do you think of them? Let me know by rating and commenting below.